There is no species on the planet that knows how to live life better than our canine companions. You’ve only got to watch them getting up to their doggy mischief of bounding through muddy puddles, tearing carelessly through long wet grassland and diving head first into the waves at the seaside, to know that they are born adventurers! 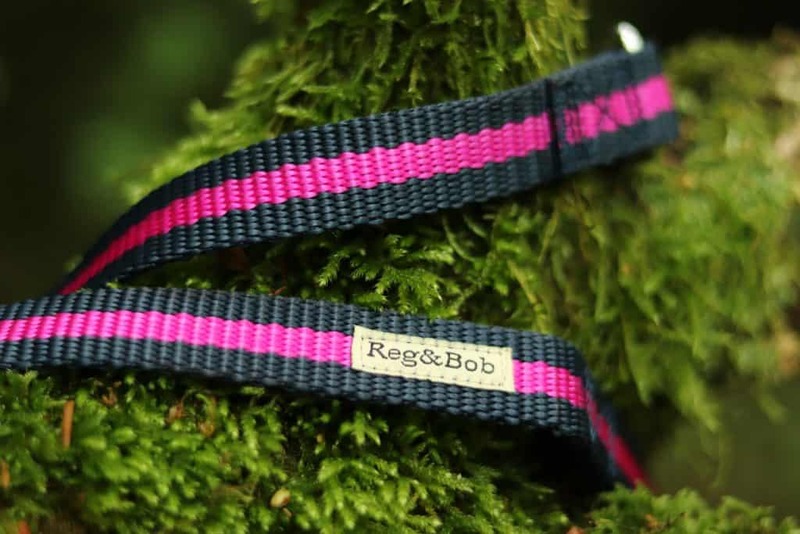 Reg&Bob’s accessories allow your furry friend to enjoy life’s adventures to the max, with their range of hard-wearing washable collars and leads designed with style and practicality at the forefront of their brand. The leads and collars come in a choice of bold and vibrant colours, complete with a contrasting signature stripe to give the brand an edgy style all of its own. 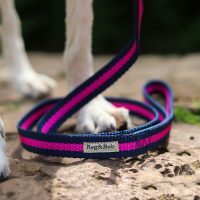 We opted for a pink collar with a navy stripe, which is just the most gorgeous colour combo and perfect for my girl [who let’s face it is a bit of a princess!] The matching lead comes in the opposite colour-way which, in my opinion, makes it look even more stylish. 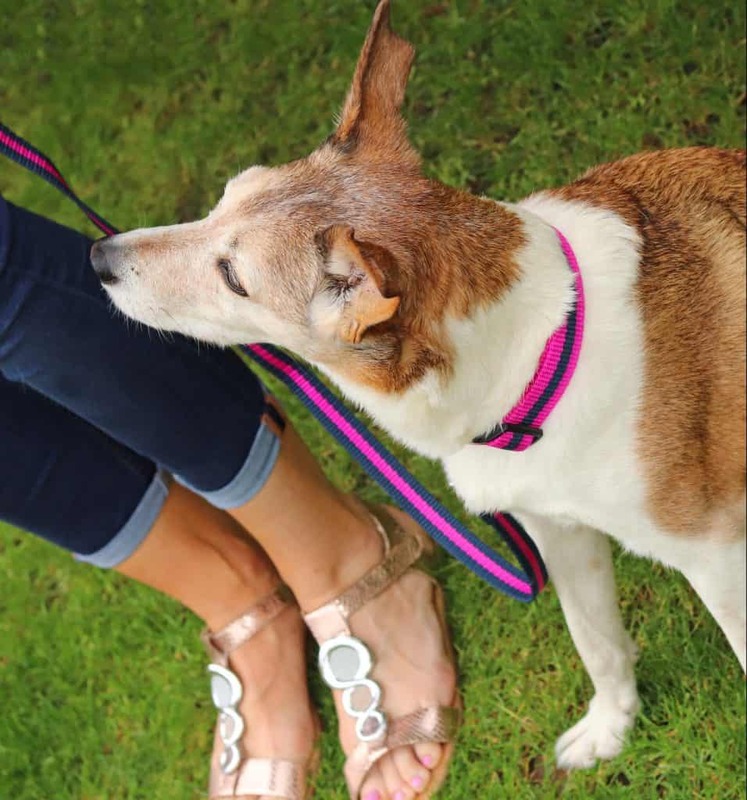 I can assure you, it’s not just Poppy dog who feels rather sassy wearing this lead and collar set – we look a right pair of trend-setting fashionistas when we’re out on walkies now! 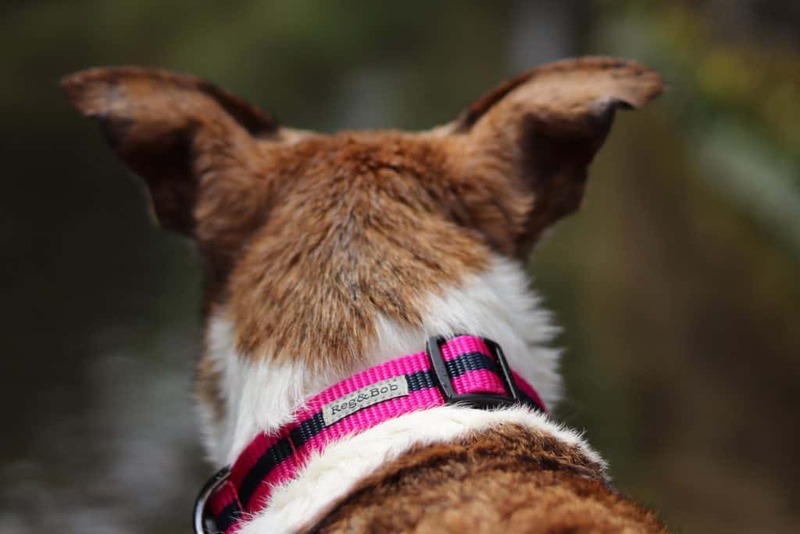 Made from a hard wearing polypropylene webbing fabric, the collars come in two sizes; small – medium and medium – large, and are easily adjusted using a robust black buckle, and fastened in place using a quick release plastic clip. 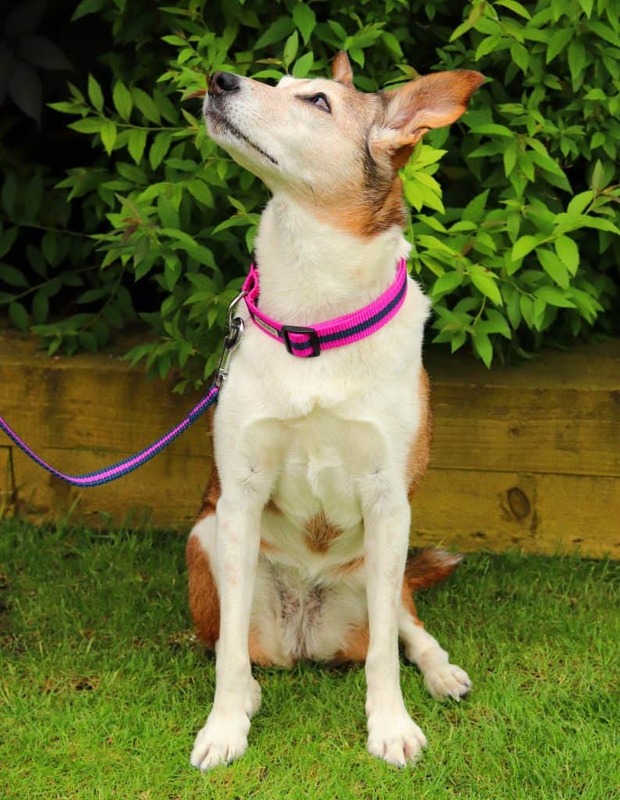 The collars are suitable for all breeds of dog from Daschunds to Great Danes, the only exception being sight-hounds who require specialist collars, but the leads would still be suitable. 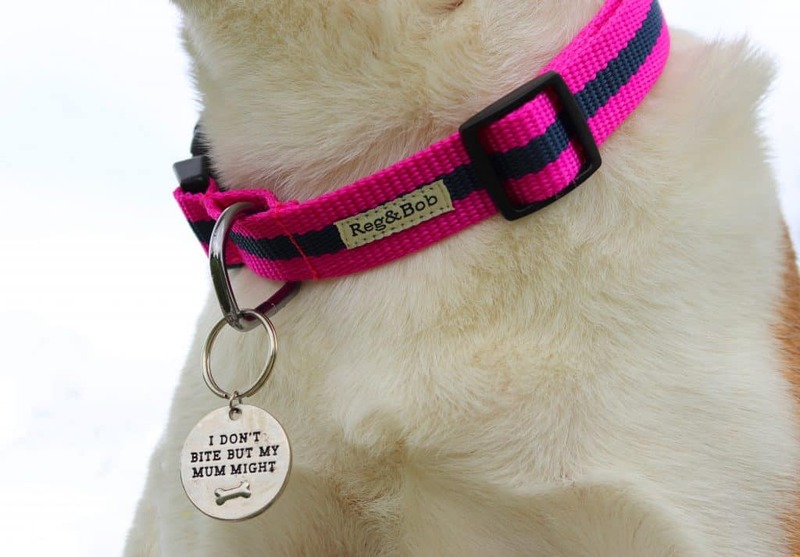 The lead attaches to a metal D ring, to which you can also fix your dog’s identity tag, and both products are finished to the highest quality and branded with a unique Reg&Bob sewn in label. The lead feels really good to hold in your hand – comfortable, yet strong and sturdy. 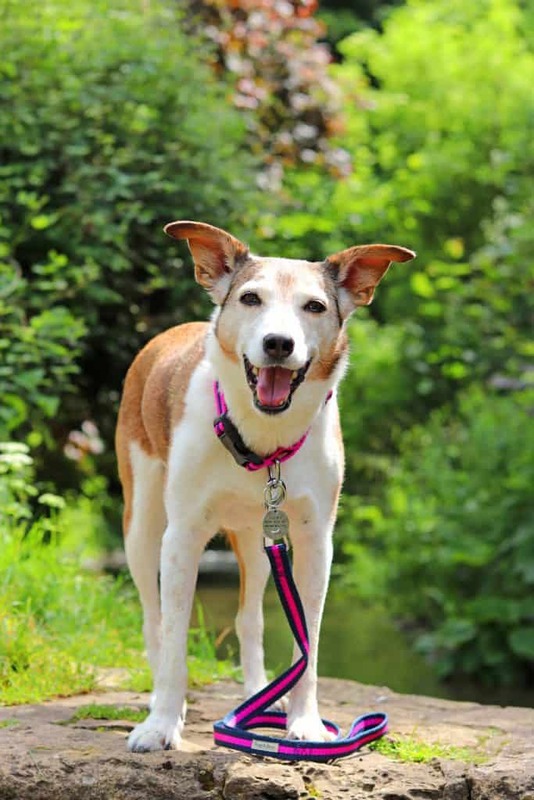 It is also a perfect length, not too long so it’s constantly getting caught around Poppy’s legs, but equally not too short – I really dislike leads that don’t allow dogs a bit of freedom to walk at their own pace. So how did Reg&Bob survive the Poppy test? Well I have to be honest, all those adventurous doggies that I was referring to earlier…..that’s not really my girl! Charging through the waves at a hundred miles an hour is not Poppy’s style! 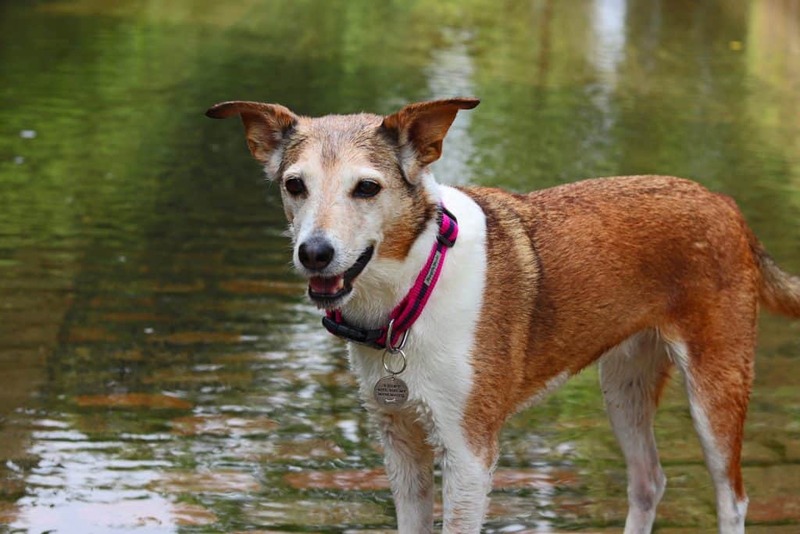 In fact, she’s only been swimming once in her whole life [bearing in mind she’s almost 12!] and whilst she quite enjoyed the experience, she did remind me of a graceful old granny doing the breast-stroke and keeping her head firmly above the water!! 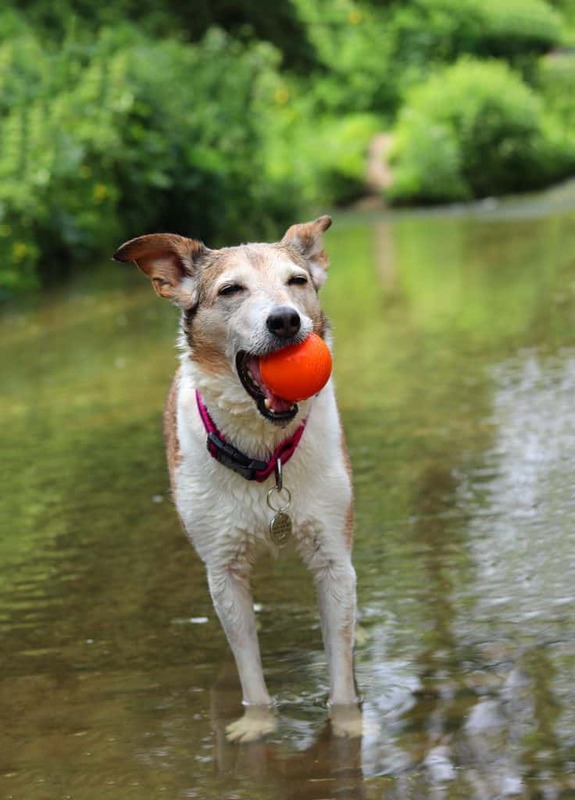 However, Pops does love splashing around in our local ford, and throw a ball into the equation, she forgets all about wanting to keep her head dry!! So, to the ford it was to put this collar through it’s paces! What’s more, not only are their products fashionable and serviceable, they are also very reasonably priced. 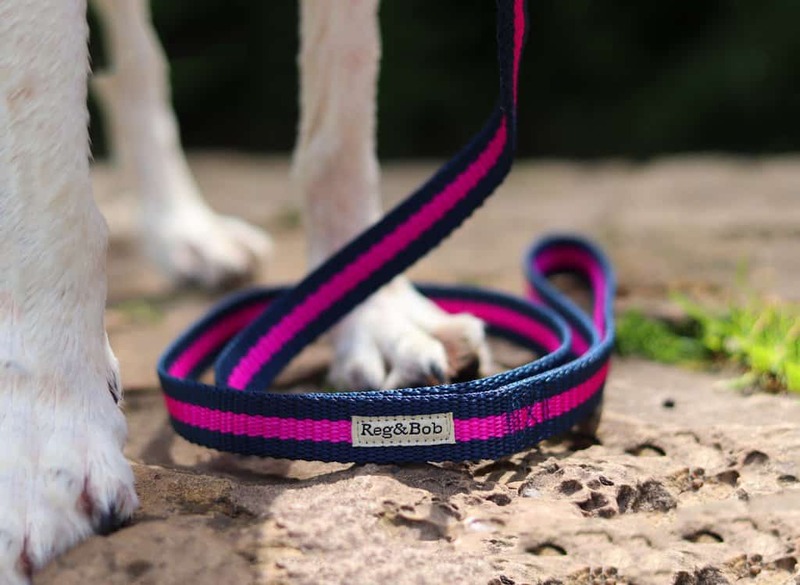 Their collars start at just £14 and their leads are £16, which I think is fantastic value, and considering their durability, it means that you have a lead and collar which you can wash time and time again and it will continue to look smart and dressy, ready for any occasion! If you sign up to their mailing list (via their pop-up subscription box) you can also get free postage and packaging, plus they’re currently offering 10% off your first order, but you need to be quick as this offer ends soon. 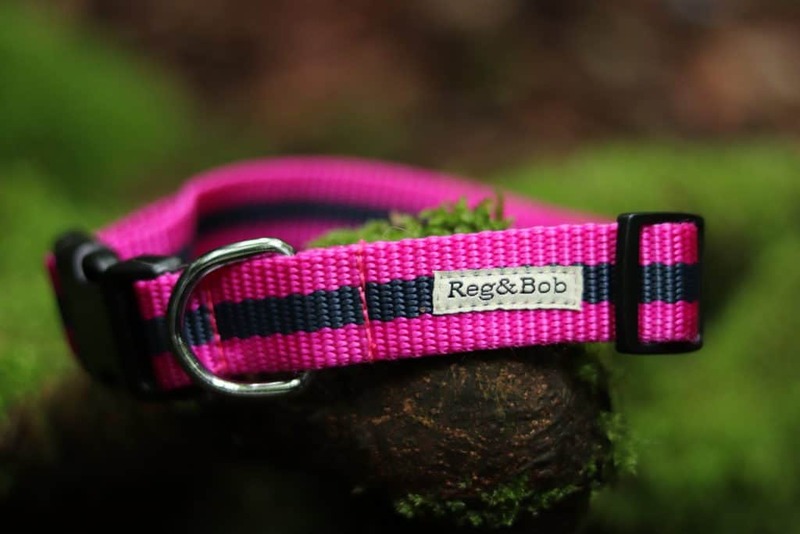 Stay tuned, because shortly we will be running a competition with Reg&Bob, where one lucky pup will have the chance to become the proud owner of their very own collar and lead set in a colour of their choice. 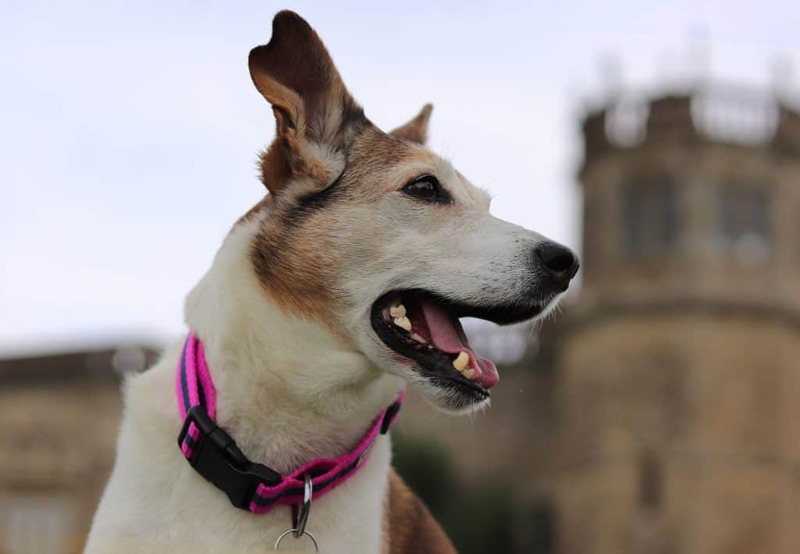 A huge thank you to Sarah, for letting us try your wonderful products – both the collar and lead have taken pride of place in Poppy’s pawdrobe and will be joining us on lots of adventures in the future.